The Center for the Performing Arts in San Jose, California is managed and operated by San Jose Theaters, a division of Team San Jose. 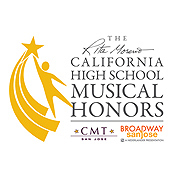 It hosts major performances from Broadway San Jose and other organizations. Built in 1972 by the Frank Lloyd Wright Foundation, it offers large windows throughout the entryways, providing plenty of natural light and spectacular views of downtown San Jose. To see an events calendar for all four of our theaters, click here. For a condensed calendar with only one listing per event, click here.